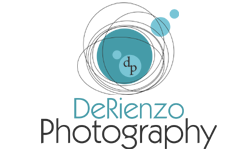 DeRienzo Photography is a full service photography studio offering wedding, family, senior and business photography. Our photographers have a passion for the heartfelt moments in a wedding. We will capture the essence of your day with candid photojournalism, fine art portraits and a unique blend of what we call "fine art photojournalism." These elements form our style of shooting. Our goal is to document the many emotions of your wedding day. We are unobtrusive observers who anticipate and capture the smiles from the heart, the spontaneous gestures of love, and the joy of your celebration! Our team of talented artists, under the direction of our owner and award winning, Disney photographer Christopher DeRienzo together have a vision to provide the highest-quality artistic products with personalized customer service. You will meet with your photographer to ensure that you are comfortable with your photographer's personality and skill. After the wedding, we will design your album in-house to make sure that you can have maximum input on the final product. We will take the time to understand your needs and will use the knowledge gained from shooting hundreds of weddings to create for you photos that will bring back the tears and the laughter. For the last 15 years we have built a team that truly has a love for photography and we hope it show in our art work. If you planning a destination wedding, no worries are bags are always packed and ready to go.